A hall commemorates those who served in World War Two. At a largely attended public meeting held at Finley with the object of furthering the war effort, a committee was formed with three, objectives, to secure the maximum support for the £100,000,000 war loan, to make provision for a suitable memorial at the close of the war, and that war bonds be used in the building of a new public hall in Finley. Jerilderie Herald and Urana Advertiser (NSW), 17 September 1942. 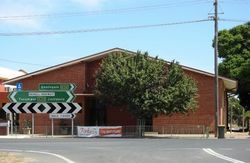 The hall is planned to be removed by the Berrigan Shire Council in 2016 as part of a redevelopment of the School of Arts. In 2016, the "Save the Finley War Memorial Association" is mounting an extensive campaign to prevent the demolition by The Berrigan Shire from occurring. 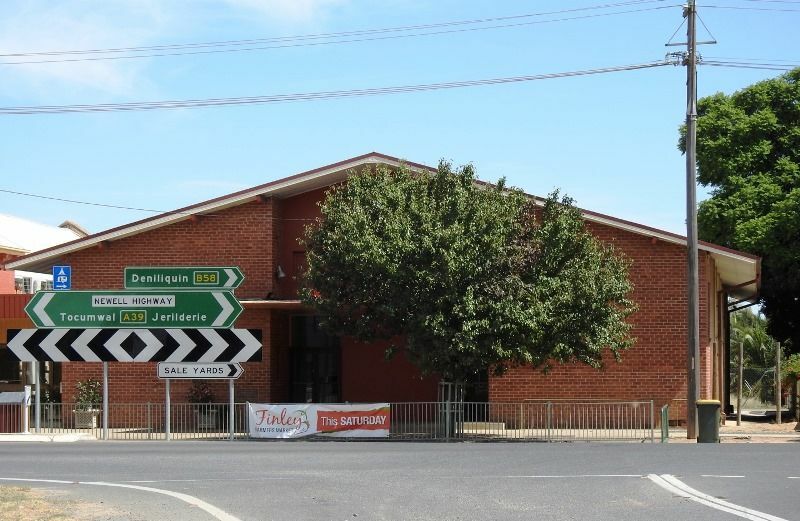 Berrigan Shire Council has committed to the redevelopment of the Finley School of Arts, one of the most significant heritage buildings in Berrigan Shire and a key cultural asset for the Finley community. The redevelopment will be a much-needed modernisation of the School of Arts, including modern and accessible toilet facilities, off-street parking and improved disabled access. The project will see the School of Arts continue to be a much-loved place for the Finley community and improve its usability for performing arts groups, community meetings, and other social functions. The redevelopment will mean, however, the removal of the Finley War Memorial Hall to allow space for the new facilities. The hall was built in 1956 as a memorial to the soldiers from the Finley region that fought in the Second World War. While the War Memorial Hall is part of the history of Finley for over 50 years, over time people have changed their social and recreation activities. As a result, the use of the hall has dwindled to a point where its ongoing maintenance cannot be justified. Construction work is not expected to take place until the second half of 2016. The project in its entirety is expected to cost around $380,000. This stone was laid on the 17th March 1956 by the Hon. J. A. Lawson, M.L.A. Cr. F. A. Martin President.